Defense Forum Foundation hasn't added a story. Free North Korea Radio (FNKR) was established to fight back against this, and other serious injustices. FNKR strives to broadcast daily messages of freedom, to tell the people about democracy and deliver truthful news about the outside world. Over the years, FNKR has received countless letters written by listeners living inside North Korea, thanking them for their brave work, or requesting they stay on-air longer, so more people can listen, some even write to plead for certain programs to be broadcasted again. These letters of encouragement are truly inspirational and serve as the motivation behind FNKR’s tireless efforts. But recently, government funding was cut, and FNKR now relies solely upon charitables contributions from people just like you. FNKR works hard to provide hope to the people of North Korea, but we need your help to keep that hope alive. Free North Korea Radio listeners risk their lives to tune-in, please don't tune them out - help FNKR stay on air by making a donation today. DFF covers the shortwave transmission costs of FNKR with the support of American citizens and churches. Contributions to DFF are 100% tax deductible and 100% of every donation supports Free North Korea Radio’s broadcast. 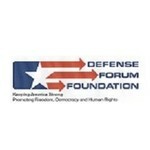 Defense Forum Foundation hasn't posted any updates yet. Defense Forum Foundation is managing the funds for this campaign. Defense Forum Foundation is a verified organization.